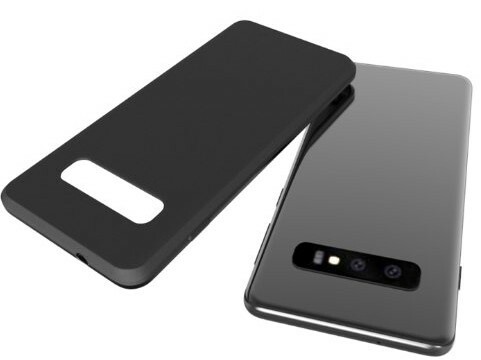 The revised renders of the Galaxy S10+ showed a quad camera on the back. Now the Samsung Galaxy S10 design has come to light and it has two rear cameras. Different camera setups were used to differentiate the Galaxy S9 duo this year. But next year there will be no less than three Galaxy S flagships. The S10+ should be the top model with four cameras and a large curved screen. Then there will be two models with a 5.8” screen – one curved and one flat (the base model). So, which one is the one in the image? We guess it’s the middle model, the one with a curved screen and an in-display fingerprint reader. The base model will likely have a side-mounted reader. This image doesn’t offer a clear view of the sides, but the case doesn’t seem to have cutouts for a power button/FP reader combo. Either way, there’s one Galaxy S10 model unaccounted for – how many cameras will it have? Moving on to what you can’t see – the performance of the chipset. 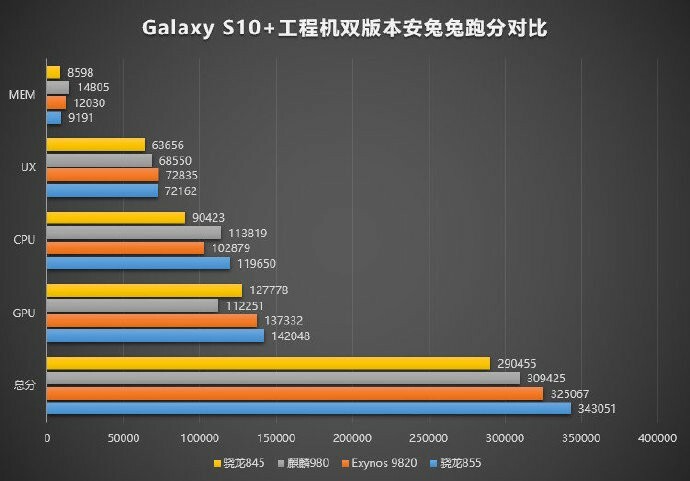 The Galaxy S10+ with Exynos 9820 already posted an impressive AnTuTu score, but the Snapdragon 855 version promises to be even faster. An early benchmark shows that the new Qualcomm chip edges out both the Samsung chipset and the Kirin 980 in terms of CPU, GPU and AI performance. The margins are slim, but they are there. Perhaps the more interesting test would be power efficiency – Qualcomm is usually among the best in that regard. But Samsung’s usual strategy of having different chipsets in different regions means you likely won’t get a choice.